DETROIT July 9, 2015 -- Thom Connors, SMG regional vice president and general manager of Cobo Center, is pleased to confirm today that Cobo Center has received the Convention Industry Council’s Accepted Practices Exchange (APEX) certification, by the Green Meeting Industry Council (GMIC), a non-profit, membership-based professional organization spearheaded by the US Environmental Protection Agency, which provides educational resources to planners, suppliers, and venues seeking to meet the ever-rising standards consumers set for sustainable meetings. The GMIC award is the fourth for Cobo Center related to sustainability efforts. In 2012, Cobo became the largest Green Venues Michigan facility. In 2014, Cobo was designated an EcoWorks Sustainable Communities Champion. 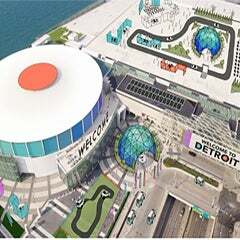 Earlier in 2015 the Detroit Free Press named Cobo Center a Detroit Green Leader. 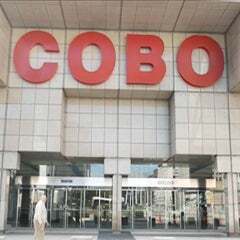 Soon to complete a $279 million renovation project, Cobo Center offers 723,000 square feet of exhibit space and is the 19th largest convention center in the country. Cobo is one of four SMG managed facilities to achieve GMIC’s APEX/ASTM certification. The APEX/ASTM Venues Standard delineates the procedural requirements for venue selection -- the practice of researching, evaluating and choosing the facility for an event. The standard specifies distinct performance criteria for staff management, communications, waste management, energy, air quality, water, procurement, and community partners. The standards were created in partnership with ASTM International, an ANSI-accredited standards development organization. The certification application was a coordinated effort by Cobo Center’s Green Committee, made up of members from every department and vendor company in the center. 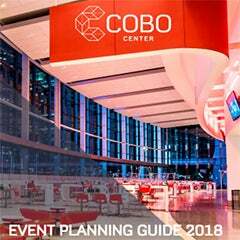 The committee created 85 separate required documents to substantiate the development of multiple policies and “best practice” procedures initiated to support sustainable events in Cobo. Over a six-month period, significant Green practices such as composting and environmental purchasing policies were implemented to attain the certification and go on to support Green events in the center.